ISP Telecom has added new payment method! Using this option you can now pay your monthly invoices or make a deposit towards to your long distance account. You can find our credit card option on your customer portal Payment menu. If you have more questions contact our Finance team by e-mail. 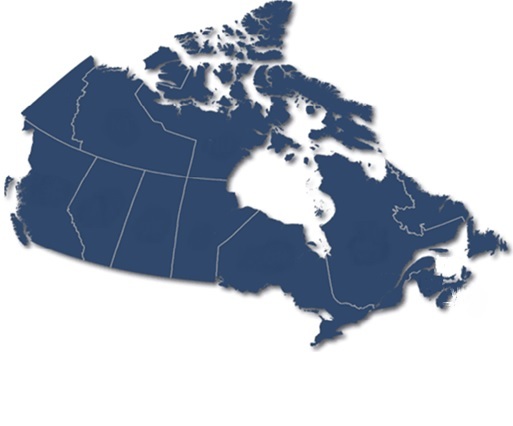 ISP Telecom is happy to announce that we have expanded to three new locations across Canada. This extends our high-quality On-Net coverage for our wholesale customers. FAX to EMAIL provides the customer with the option of directing inbound FAX traffic to an email address. Customer receives the FAX in a PDF format via email. Inbound traffic may originate from the PSTN, or from Toll Free calls to a Toll Free numbers as part of ISP Telecom Toll Free Service. EMAIL to FAX provides the customer with the option of sending outbound FAX from an email. An attachment to the email will be sent North America wide when the Fax number is listed in the email subject, in accordance with the required format. This extends our high-quality On-Net coverage for our wholesale customers. ISP Telecom is heading back to Chicago for International Telecoms Week 2017. Book a meeting on the ITW MeetMe site and find out what telcos worldwide know about ISP Telecom. ISP Telecom is heading back to Chicago for International Telecoms Week 2016. Stop by Booth #1026 on the Purple level to see us, or book a meeting on the ITW MeetMe site. ISP Telecom is happy to announce the addition of St-Sauveur LIR to our list of rate centres in Quebec. This extends our high-quality On-Net coverage for our wholesale customers. ISP Telecom is happy to announce the addition of Drummondville and Victoriaville to our list of rate centres. This extends our high-quality On-Net coverage for our wholesale customers. ISP Telecom is happy to announce the addition of Brockville to our list of rate centres. This extends our high-quality On-Net coverage for our wholesale customers. ISP Telecom is happy to announce the addition of Uxbridge to our list of rate centres. This extends our high-quality On-Net coverage for our wholesale customers. ISP Telecom is happy to announce the addition of Victoria BC to our list of rate centres. This extends our high-quality On-Net coverage for our wholesale customers. ISP Telecom already provides you with superior SIP solutions. With our new SMS product, ISP Telecom is more prepared than ever to offer a competitive edge to your customers. Contact us today for further details and pricing. ClueCon is the open source IP communications conference made BY developers, FOR developers. Join us in Chicago from August 6-8 and learn about projects like FreeSWITCH, Asterisk, and OpenSIPS, and participate in live demos. ISP Telecom has expanded their western network to include Medicine Hat, Red Deer, Lethbridge and Grand Prairie. Existing customers may now request DID's and begin porting numbers. For a full list of our coverage areas, see our coverage page.